Fiah! Transformers Encore God Fire Convoy has officially landed, and this is a set I’ve been waiting for eagerly since they day it was announced. For those that may not know, I am a huge Car Robots fan, it was the first series that started fresh after I returned to collecting. Originally out in Japan during 2000 and the US in 2001 as Robots In Disguise, Car Robots was the return of Transformers to vehicle form after it’s Beast era run in the 90s. New versions of Optimus Prime and Ultra Magnus in their own self-contained story coupled up with new Autobots to battle a collection of Beasts and Decepticons (slightly different telling of story in Japan, but you get the point). 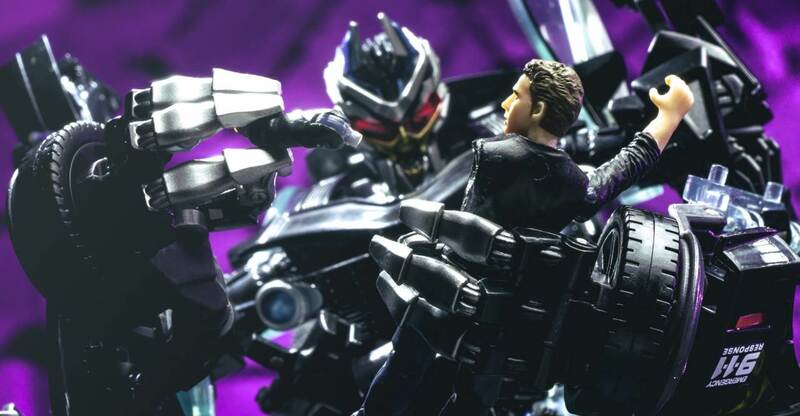 While the show may not have been the best, the toys were aces and still hold their own even by today’s standards. 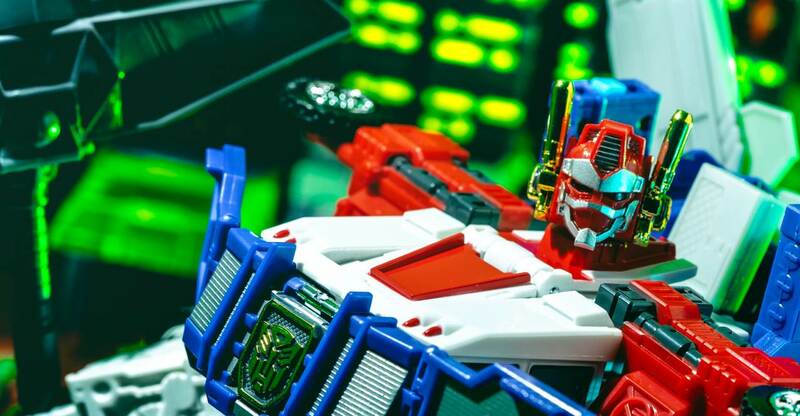 The ones that exemplify that are these two – Optimus Prime and Ultra Magnus. They are large, complicated leader class toys that combined together. Optimus even had a armored up mode and mini base by himself in addition to the Omega Prime combination. 18 years on and nothing has really been attempted or matched it in complexity at this scale. 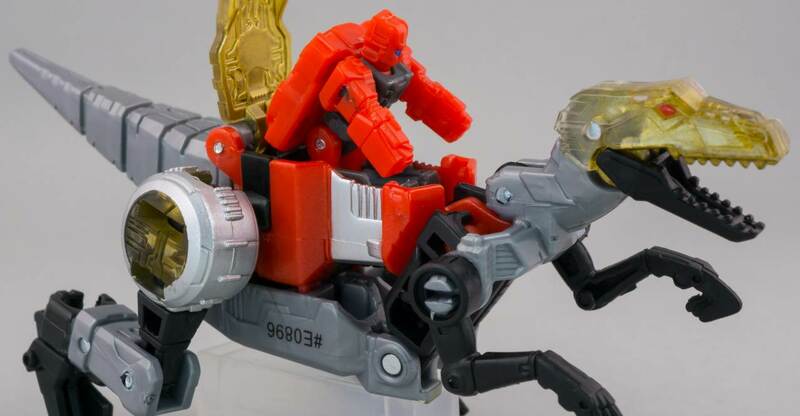 So today we are taking a look at Takara-Tomy’s Encore release. 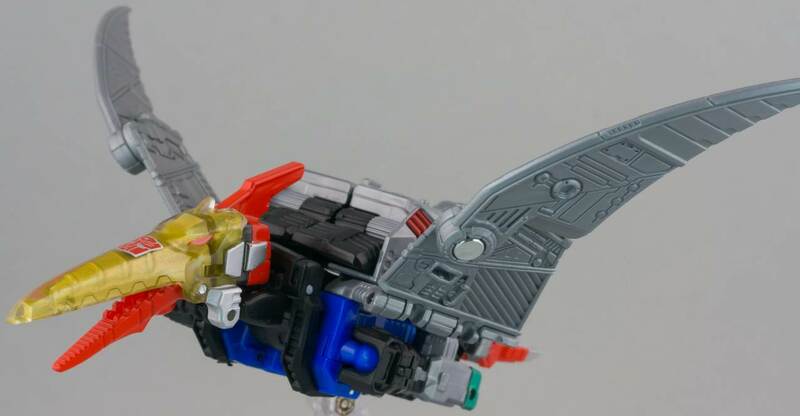 This is not an exact reissue, there are changes on both figures, mostly in color. 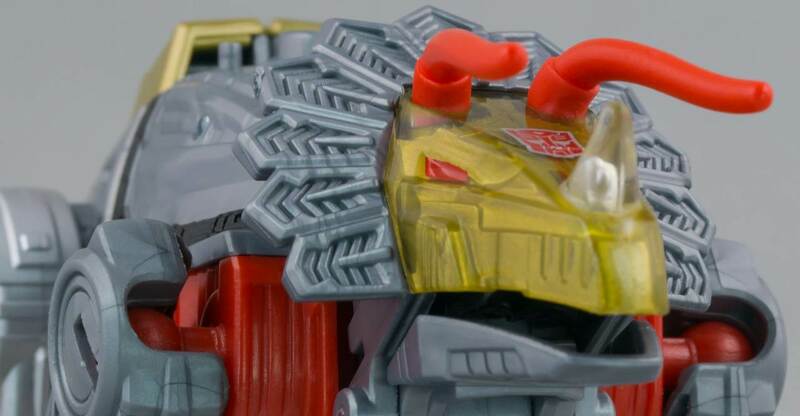 We’ll go over that and some QC issues after the break, courtesy of TFSource! 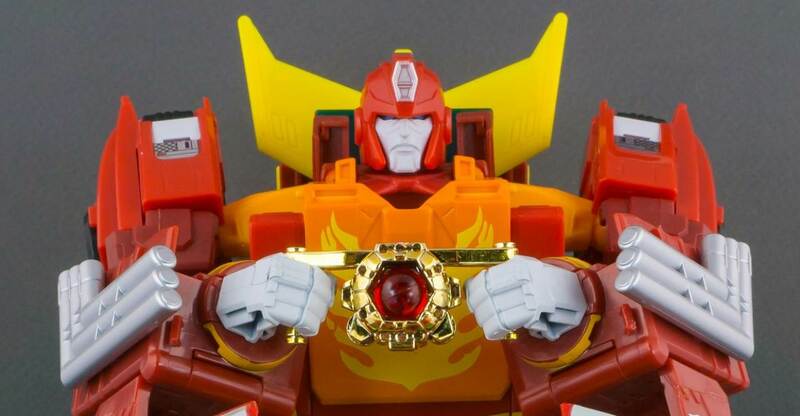 Recent Masterpiece Releases: Encore God Fire Convoy, MP40 TM Hot Rod, Sunstreaker, MP15E/16E, MP12+ Anime Sideswipe, Megatron, Dinobot, Masterpiece Pre-Orders. You can check over 200 images of the full set in our gallery system below! We will add this to RIDForever.info soon! Extreme Sets have been pushing out awesome modular dioramas for the last couple years, and last year they really kicked things up. For Transformers, they dropped the Control Center and Headquarters sets which are orange and purple themed bases, perfect for setting up your Autobots and Decepticons respectively. Now they are back with a remix of the Control Center, this time scaled for Masterpiece figures. It comes with 6 walls, 2 of which have doors now, 3 floors, and several pieces that connect to the walls to add 3d pop outs for monitors and panels. The wall panels each measure 20 inches by 18 inches, so when you connect all 6 you get a 10 FOOT wide display that is 1.5 feet tall. BIG! Now, most of us won’t do that, so having the different panels to layer behind the open doors and put in different spots on your shelves is really what all that is for. The ability to set up and break down quickly, and store flat when not in use is a bonus. All in all it’s another epic set that is welcome here both for my display and using in toy photography. We took the set for a spin, head on over to the full gallery to check out over 25 HD images of what it can do! And, if you are interested, the fine folks at Extreme-Sets.com have given us a coupon code for a discount on your orders. Enter code TOYARK at checkout and get 15% off your order! Flame Toys Drift HD Gallery Online! 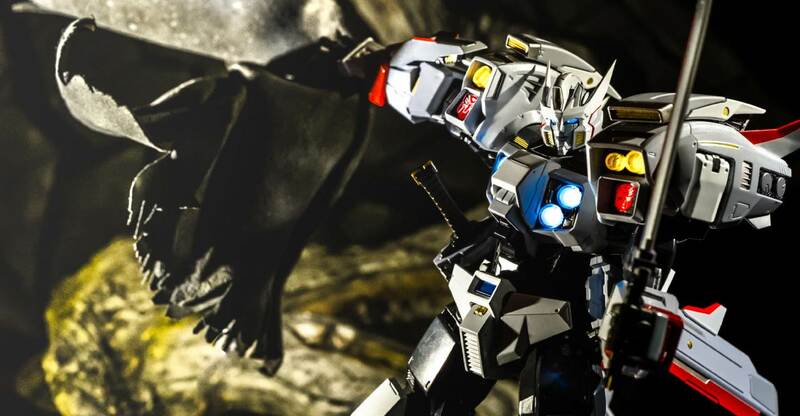 Flame Toys entered the scene last year with their first high end officially licensed figure from the Kuro Kara Kuri line – Drift. These figures are non-transforming, but come with pretty much everything else you’d want in an upper tier figure. Fully articulated at every possible joint, lights in the eyes, chest, shoulders and legs. Multiple hands, multiple faces, multiple weapons. Die cast. Faux suede soft-goods cape with wiring for posing. He stands 8 inches tall, with a sense of heft. 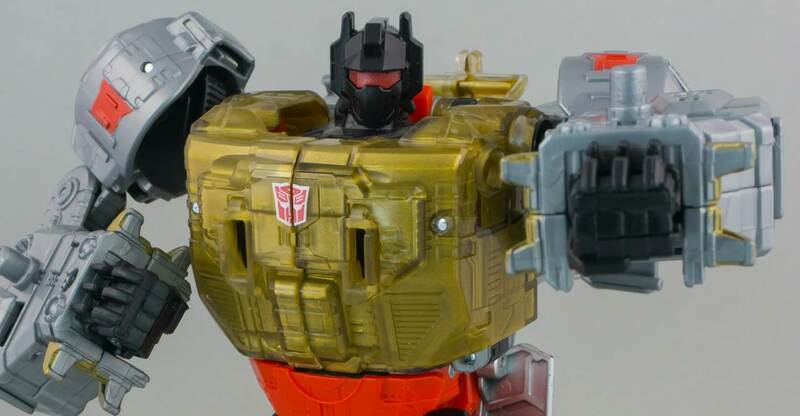 He’s somewhere between MP-10 and the MP cars, closer to MP Ironhide height. For fans of the IDWverse version of Drift, this is a stellar piece that captures him perfectly. Well, his bot mode anyway. The only negative one can say here – doesn’t transform. 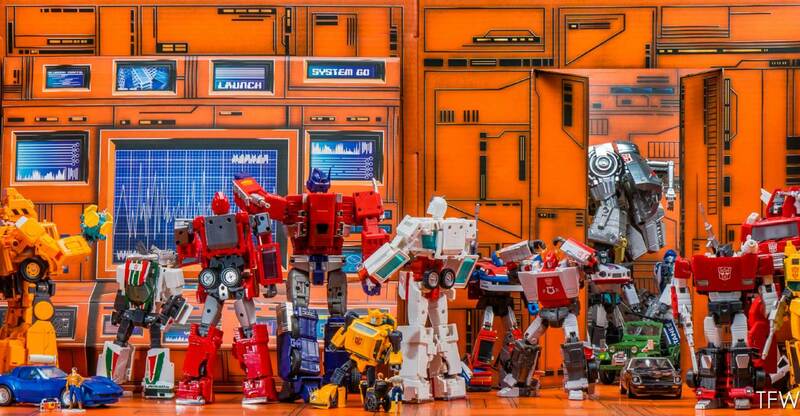 Transformers that don’t transform are a hard sell, but at least with this new line they are fully functioning action figures that can work with your other bots, or slip in on a display shelf without looking too out of place. He’s out now at US retailers, you can pick him up at some of our sponsors: TFSource, BBTS, Robot Kingdom, A3U, Chosen Prime, Toy Dojo, Amazon. Drift will be joined next by Flame Toys’ version of Tarn (02) , then (03) Star Saber and (04) Optimus Prime! Click the link below and check out over 90 HD images of Drift in action!